Calling all pre-school children and their Dads! Come and join us on Saturdays from 10.00 to 11:30am in the Coffee Lounge for our "Who Let The Dads Out?" Read the papers, chat, play with toys, build something interesting, have a bacon butty and a coffee - give Mum a break! Just come along or call Geoff on 07887 573086 to find out more. Gatherings are usually on the 2nd Saturday each month but check our weekly news to confirm. 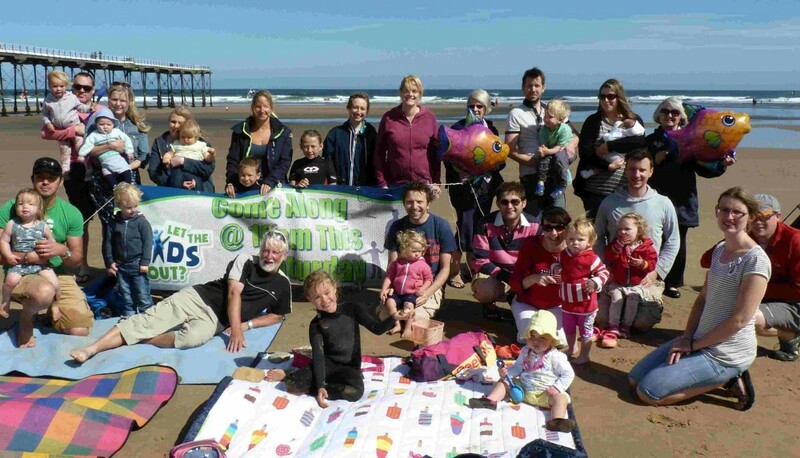 In the summer we also had a very successful Family Fun Outing to Saltburn beach, joining together with Little Fishes.